The Kenner Starting Line-up figures were actually the idea of a Cincinnati Bengals American Football team veteran by the name of of the Pat McInally. In 1986 Pat was preparing to move to the West Coast after retiring when he met a newly appointed Kenner executive whose job was developing toys for kids. As it happened, Pat had a regular syndicated newspaper column "Pat Answers for Kids" and so he was asked by the Kenner exec if he had any ideas. Later while he was browsing through the toy aisles of a local store it suddenly occurred to him, there on the toy shelves were rows of toys featuring all kinds of super-heroes but there wasn't a single toy based on the real world heroes of sport, and so he came up with the idea for the Kenner Starting Line-up Figures. So, armed with a pack of baseball cards and one of Kenner's current action figures he was ready to make his proposal. However, the reaction he got wasn't quite what he expected. After two hours of discussions Kenner's reaction was overwhelmingly positive. The only question they had left was how were they going to get the licensing rights? 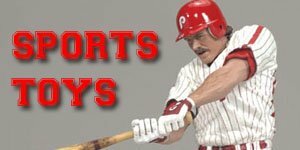 Luckily, for Kenner, Pat proved to be the key mover here as well with his vast experience in the NFL and his contacts in the sports arena within a week he had commitments in hand for all the 3 of the major U.S sporting Leagues for sporting figures and so the Starting Lineup brand was born. 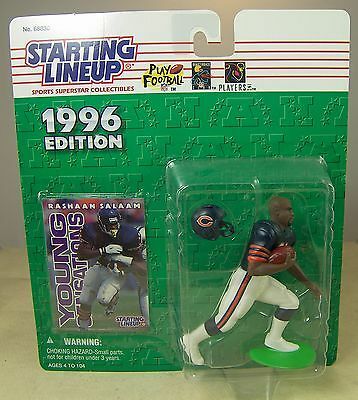 Kenner launched their first range of NFL Starting Lineup figures in 1988, much to the pleasure and anticipation of 1000's of football fans. 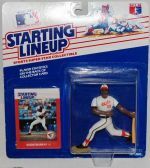 Each of the Kenner Starting Line-up Figures came in a clear plastic bubble that was glued to a rectangular piece of cardboard with rounded corners (commonly known as blister packs). These cards are often referred to as J-cards because of the J shaped cut in the card that was used to hang them on display in stores. The figures were sold to retailers in cases of 16 and were designated by the year, sport and a two-digit decimal number, e.g. 1988 Football Case .01, 1992 Football Case .04 etc. The Kenner Starting Line-up figures came with one or more trading cards, and occasionally another keepsake such as a mini-poster or medallion. In addition, the bubble (or blister) had a kind of "foot" which extended 2-3 inches out from the cardboard and could be used as a stand for MOC (Mint On Card) collectors. 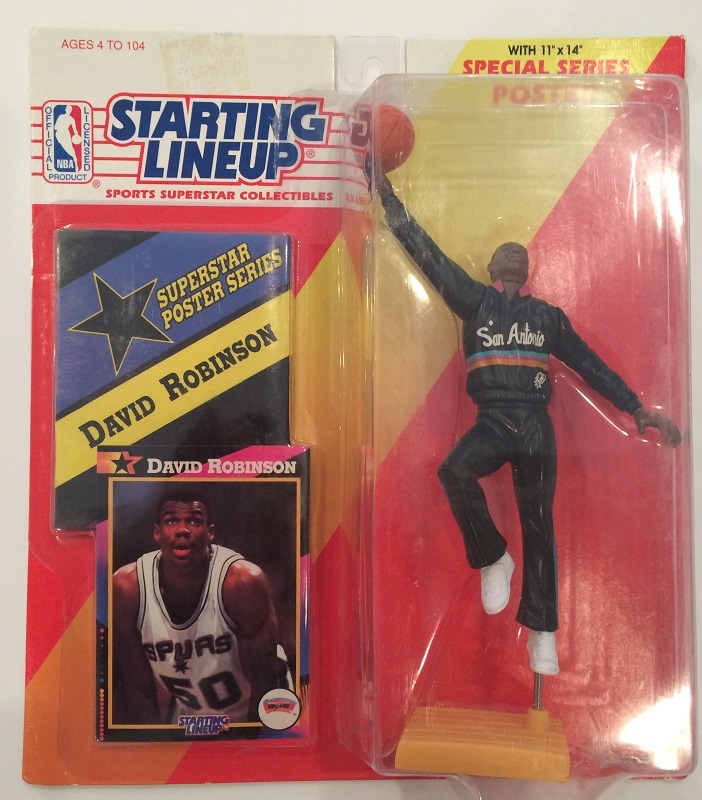 The Kenner Starting Line-up figures were made from hard plastic, were 4-inches in height, and painted to resemble a sports star, although the "resemblance" was often questionable. 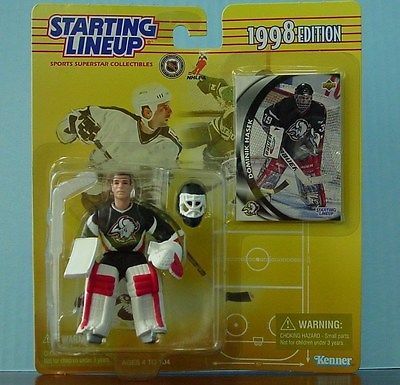 There was also a limited number of poses for a figure, initially 10 for each sport but in 1993 and then again in 1995 Kenner introduced a number of new poses. They also had very limited articulation, with joints at the shoulders, neck and waist and a base that resembled a part of the football field. Kenner color coded each of the blisters so that it was easy to differentiate between from a distance with baseball (blue), basketball (red), and football (green) then later when they began to produce NHL figures they had yellow cards. Initially they were primarily sold to large retail stores but Kenner began to notice that they were actually selling more to hobby dealers than toy stores. 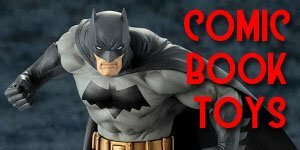 This is the period when the hobby really entered its adolescence and sport figures became truly collectible with Starting Lineup figures being traded along side trading cards and other sport collectibles and memorabilia AT Comic-cons and conventions across the country. 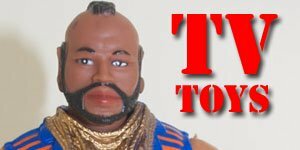 This realization also caused a change in Kenner's marketing strategy, by greatly reducing the number of different pieces produced. 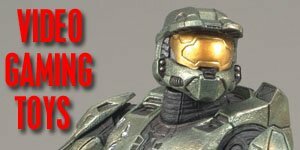 They also began to introduce variations of some of the figures with low production runs, thereby introducing the term "chase" figure into the hobby. By decreasing the size of the sets they tried encourage collectors to collect them all, and in the five years, from 1988-1993, the set totals dropped from 137 to 27 in football. However Kenner began to over produce the Starting Line-up figures and undermined the market killing the line off gradually over time until, eventually, much to the disappointment of their many fans and collectors Kenner decided to discontinue the line in 2000. Recently however there seems to be a resurgence of interest among fans and collectors with more activity and bidding occurring on eBay than there has been for a number of years, particularly with the early vintage football figures from the 1988 and 1989 series. This is possibly due to the fact that these figures were produced in relatively low quantities for local markets and also the recent obsession with grading everything has helped to stimulate the market by creating more confidence in the hobby as a whole. 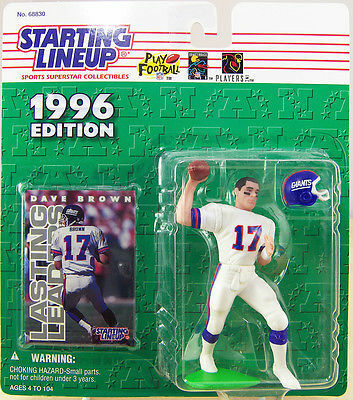 Only a few products have been considered a "successor" to Kenner's Starting Lineup Figures, but probably the most popular of this are the McFarlane Sports Picks figures (2001-present). Looking back now it's hard to see what the attraction was in these rather crude "action figures" that often had little resemblance to the actual players, which is probably why the SLU trading card was included ;-). But at the time they were all we had and they were FUN!. 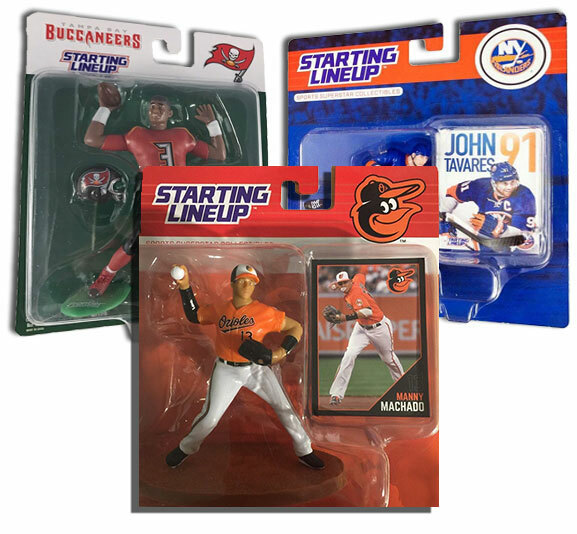 In 2016 the Kenner Starting Lineup figures began to make a surprising return to the spotlight when three professional sports teams gave away special edition Starting Lineup figures. On 10/30/2016 the Tampa Bay Buccaneers (NFL) released a figure of Jameis Winston. In addition, on 11/25/2016 the San Jose Sharks (NHL) released a figure of Joe Pavelski. Also, on 12/23/2016 the Charlotte Hornets (NBA) released a figure of Nicolas Batum. This turn of events came about after Brian Killingsworth,the chief marketing officer of the Tampa Bay Buccaneers, came across some of his old SLU figures in his mothers attic. This sparked of memories of the fun he had not only collecting these figure but playing with them, and to his surprise his kids loved them as well! As it turned out Hasbro had let the trademark lapse, and so in partner ship with Match-Up, a Florida promotions company that makes various stadium and arena giveaways, they struck a deal with the trademark-holder. The giveaway proved to be a great hit with fans and several other teams from the NFL, NBA and NHL have also produced SLU giveaways and there's even rumours that due to the high level of interest the current trademark holders are considering bringing the line back to retail! 09/09/2017 Chicago White Sox (MLB) Tim Raines.